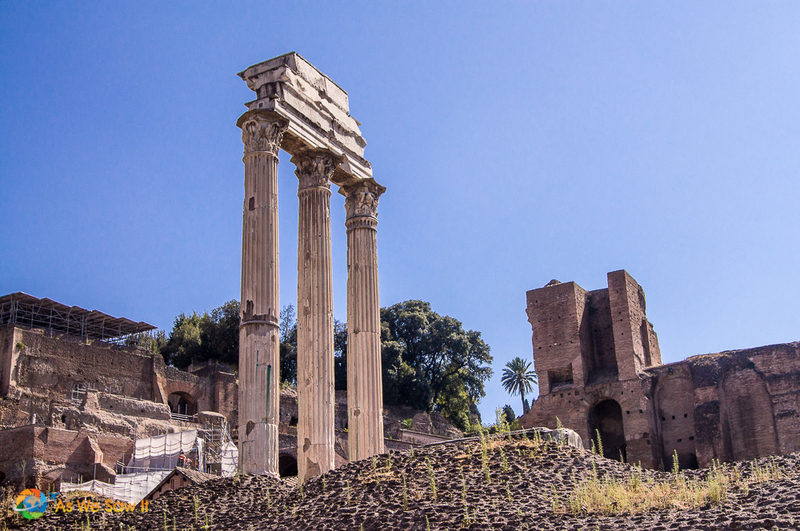 Is a DIY Rome Tour Realistic on a Cruise Stop? We love it when readers send us questions. One of our posts inspired a question about how to do a DIY Rome tour so she could avoid the typical mob of passengers on a cruise tour. Here is the letter and how I responded. I'm so happy I found your post on the beautiful port city of Civitavecchia. I thoroughly enjoyed the lovely photos and learned so much. My husband and I are celebrating our 20th wedding anniversary with a Mediterranean Cruise this summer. We've cruised three times to the Bahamas and have never seen the need to book a shore excursion through the cruise line. However, we have some some questions this time around and I wonder if you'd be willing to help? While the port city of Civitavecchia looks beautiful, I would love to see the Sistine Chapel and the Colosseum in Rome as well. My question…is it possible to do both? What is the port like as far as … could we not book a tour through the cruise line and just get a rental car or something similar and take ourselves into Rome? We're only 39 and just cannot imagine doing a huge tour where we're waiting on others all day….we'd love to do our own thing but just don't know if that's even possible. Is it possible to spend the morning in Rome and enjoy a late lunch and early evening in Civitavecchia? Thanks in advance for your help and again, I enjoyed your post! I’m really glad you liked our story. Thanks for letting me know it was helpful. I love getting feedback. With one day in the area I don’t blame you for wanting to see Rome. But you will only have a few hours in port. Forget about visiting Civitavecchia, I say, and spend all your precious time in Rome. Save sleepy Civitavecchia for the future, when you take a cruise that begins or ends there. Don't rent a car though, take the train. Civitavecchia's train station is a short walk along the very picturesque waterfront and you'll find Termini Station on every map of Rome. Besides, the train is faster and cheaper and you won't have to deal with the hassle and expense of parking in Rome. What a nightmare. Take the high speed train to Rome from Civitavecchia and you'll be there in only 45 minutes. The regular one can take as much as an hour and a half each way. I'm sure you don't want to spend three of your precious hours in Rome traveling to and fro. 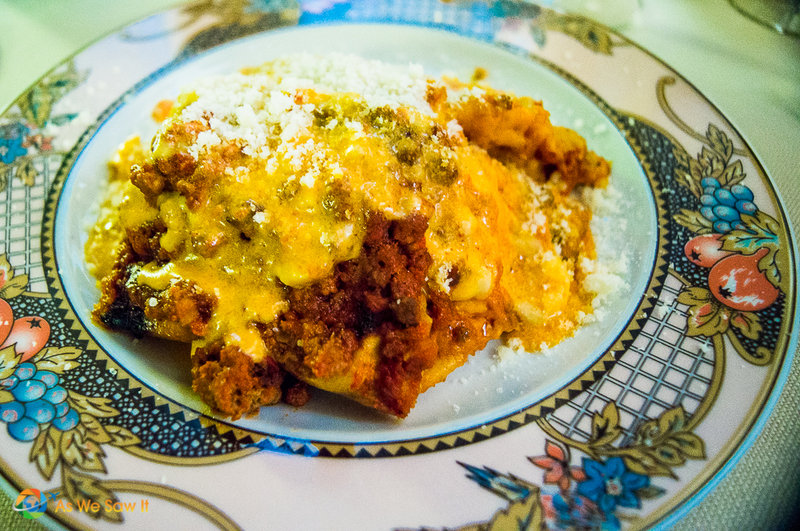 Here's a photo of Dan's Lasagna Romana to get you in the mood. Not to be Debbie Downer, but I would advise against trying to see both sights in one day on your own. You can, of course, but you are going to be spending a much greater chunk of your time getting from place to place instead of sightseeing. Rome is meant to be savored. Consider: They spend hours eating a simple meal. That said, you and your husband might have a different travel style than we do. Priorities vary. Some people are happy with spending half an hour at two sights and doing nothing else. In, out, back to the ship happy. Some prefer to squeeze as many sights as possible into one day, then check the city off their Bucket List. Others consider a one-day visit a great introduction to a world-class city and immediately begin planning a return trip. If you’re undecided about which to choose, ask yourself this: How much time will you spend examining the intricacies of Michelangelo’s creation vs. wandering through the various levels of the Colosseum? On the other hand, there’s the Colosseum. They only sell a combo ticket: Colosseum/Palatine Hill/Forum. We maxed out that ticket and went to all three. Then we had Italian food at a little back street eatery with menus only in Italian (they cook for locals, which we like) and went to see Trevi Fountain and the Pantheon. Gelato too, of course. Here’s our photo gallery for inspiration. (I have to get on Dan; he’s only posted a few of his shots and I know he has a lot more.) Bring a hat, sunglasses and sunscreen. Either way, you'll be on your feet a lot so make sure you have really good shoes. If you are set on seeing both on your own, the fastest way to get from one place to the other is via the metro. A more scenic route is the Hop-on/Hop-off bus in Rome. Cost: €28 for the basic tour. It stops at both places en route, plus you will get a narrated tour of the city. They have a lot of tour options, including a ticket that includes the bus, Vatican Museums and Colosseum. A third, more luxurious option is to take a private tour like this one for your once-in-a-lifetime trip. 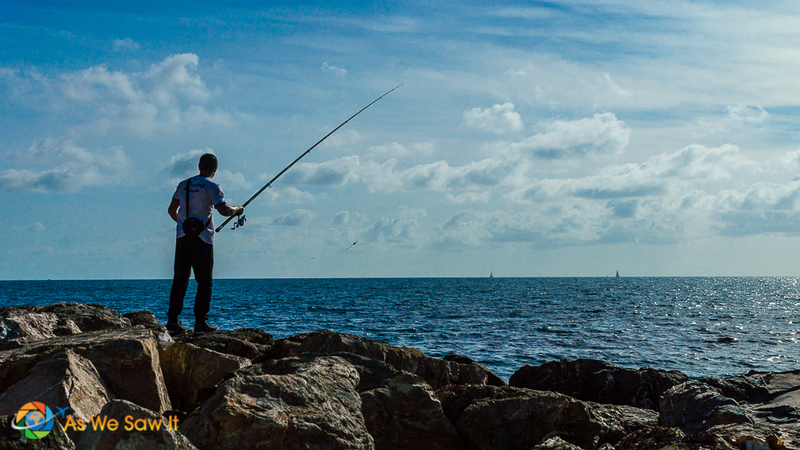 Plenty of companies offer shore excursions, but quality and prices vary, so check around. We're affiliates with Get Your Guide because they are the world’s largest online platform for booking tours, attractions and skip-the-line tickets. Also, some of their tours are priced per group rather than per person. By the way, if you're doing the trip on your own, remember that both of the sites you mentioned have long lines. 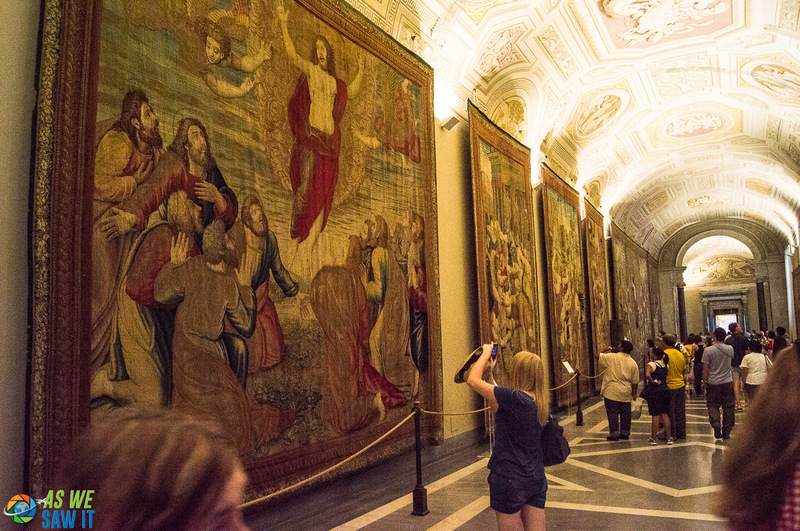 For Vatican Museums/Sistine Chapel tickets, click here to buy them online. Colosseum tickets are available all over the web. If you need to buy them onsite, few people visit neighboring Palatine Hill, where they rarely have lines. Buy your ticket there and then head to the Colosseum. Tip: Once you’re in the city, the traffic will be horrendous. Use the metro or walk. It’s way faster than the bus. Have I talked your ear off yet? I really hope you let me know how your cruise goes and what you end up doing. Have a great trip and a happy anniversary! Am I Really in Rome for Two Days? Hi Linda! We are scheduled to cruise at the end of May and will be stopping in Civitavecchia. I’ve done a one day tour of Rome before and visited St. Peter’s, the ruins, and the Coloseum. They were definitely not to be missed when visiting Rome. Having said that, I, however, missed seeing the Vatican Museum and the Sistine Chapel then so this time I would really like to see them, as well as the Pantheon. You said that we can take the train from the port and should only take 45 mins, that’s great! Is there a way to get from the Vatican to where the Pantheon is located? You might want to check our Guide to the Best Things to See in Vatican City beforehand, just to ensure you don’t miss anything else while you’re there, lol. Have fun! We’ll agree with you, Johnny. Rome is enjoyable, even if you don’t see a lot. Was there a highlight for you? Great advice! In our experience, the best time-saving (and sanity-saving) advice is to book ahead and skip the lines, especially when time is short. I do think seeing just the Sistine Chapel is a mistake. The Vatican Museum and St. Peters are amazing, and worth every minute you can spend there, so a tour can easily fill more than a few hours. 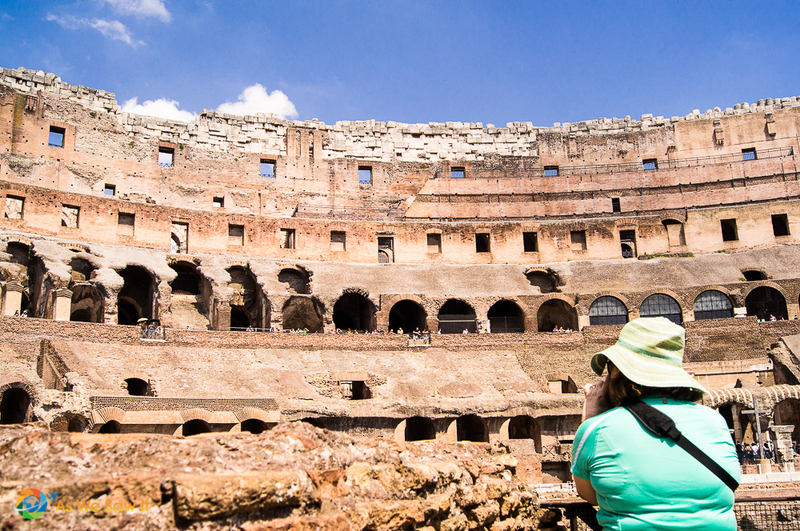 We did both by starting a cruise in Rome, but if I had to choose and time was limited, I’d go for the Colosseum – even with the Forum and Palatine Hill, we felt satisfied with our three hour tour. The problem with Rome is that there are so many wonderful things to see! How much time did you spend in Rome before you began your cruise? Do you think that was enough? You’re welcome; I’m glad you enjoyed it. It sure would be nice to hear how she ended up spending her day. You’re right, Fairlie. I’ve often thought that the time savings more than offsets the few extra dollars it might cost to buy a ticket beforehand — especially when you’re only in the area for a short time. Every moment is valuable! An added bonus: You won’t have to endure any possible bad weather. This is such a wonderful, comprehensive answer to her question. We were fortunate to have a few days to explore Rome on on our own, and I still feel like there’s so much we didn’t see. I also wondered if it was doable as a one day port excursion. I’ve always been a little bit worried about a DIY port excursion for fear that the ship would sail without me. Do they ever depart before everyone is on board? We usually do tours on our own, just plan to be back in plenty of time. They cynic in me can’t help but wonder if they might threaten to leave passengers behind so they will be more inclined to take a cruise-run tour. 😉 We don’t like big crowds so those tours aren’t for us. There are plenty of private guides and tours available, both online and at the ports, and they promise to get you back in plenty of time to sail. We had an especially great experience with our first private tour, a cave tubing tour in Belize. Common sense says to arrive back early just in case, but it’s reassuring to know that cruise lines have check-in systems to ensure all their passengers are on board and will wait for quite a while to make sure everyone makes it back. That said, at some point they will have to set sail if it gets too late. Great advice and options! I haven’t been to Rome yet, but you gave me some great things to remember when I do go. I definitely want to see both places. I was trying to decide which traveler I am. haha I’m a see as many as possible, check it off, but leave an option to return in the future. Thanks for the insightful look into visiting Rome! Well, take it from us, three days in Rome is definitely NOT enough. We kept seeing more and more things we wanted to see, and that’s without all the day trips to places like Pompeii! I hate to hurry through things, but sometimes it is definitely a necessity. Nowadays, you can buy almost all museum tickets online before you go and you will not regret it. It’s worth taking a few minutes when planning, to decide which museums you want to go to! You’re so right, Corinne. Hurrying through things is definitely a necessity on occasion — for instance, if you want to spend layover time in the city. As for buying museum tickets online, spending a few extra dollars is a worthwhile investment if you want to ensure you don’t waste precious vacation time. Planning ahead is absolutely essential, as you said. We were especially glad we had the Paris Pass when we saw the ticket line snaking all the way around the Louvre. Being able to enter right away saved us enough time to see the Rodin museum as well! Worth every penny, that. Excellent advice when time is limited. I am an advocate of the hop on hop off buses when time is short particularly. All very helpful information. We are as well, Paula. Glad you agree. We’ve found that HOHO buses are vastly underrated because they are “touristy.” Crazy, that. Their itineraries not only include most “must-see” sites but the narration in between offers a lot of insight into the city and culture.